Our beliefs represent the core of who we are. They convict us, guide us, and enrich us. The Lakota, Dakota, and Nakota people are rooted in a heritage of values and beliefs passed on from their ancestors from generation to generation. There are many symbols within the Lakota culture that represent their convictions and spiritual beliefs. Cangleska Wakan, meaning "Sacred Circle" or "Hoop," is based on the Sioux concept that everything in the universe is intertwined. It exemplifies the compelling belief that all things that exist are connected in one continuous process of growth and progression. The Sacred Hoop represents the shared values that bind the Lakota nation together in unity within their tribal system. These values include, amongst others, their language, ceremonies, storytelling, songs, religion, bravery, respect, wisdom, generosity, the four directions, Mother Earth, Father Sky, teachings from elders, and the common belief that everything which is good and holy is represented in the shape of a circle. 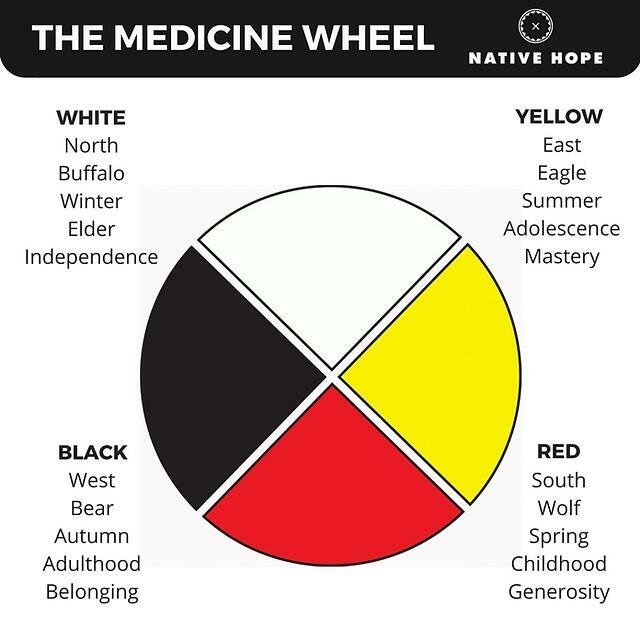 The circle, or medicine wheel, is viewed as the foundation for every component of human and animal life, the earth, sky, and universe. It instructs us about the seasons, life, animals, and the earth’s compass. Each direction of north, south, east, and west encompasses the teaching of life for each individual and their place in society, while the center represents the earth and sky. All of us at Native Hope are passionate about preserving Native American culture and Native American history and empowering the next generation to thrive in the authenticity of their heritage. Previous PostJoin Us in The Circle of Hope!